An tImeall PODCHRAOLADH ÓN IMEALL. BLAG FUAIME I nGAEILGE. 13/10/2006: Reáchtálfar seimineár lae ar ócáid deich mbliana an stáisiúin teilifíse Gaeilge TG4 ar an Satharn 25 Samhain in Ollscoil na hÉireann, Gaillimh. Ollscoil Chathair Bhaile Átha Cliath, i gcomhar le hOllscoil na hÉireann, Gaillimh, atá ag eagrú na hócáide, atá á hurrú ag Foras na Gaeilge. 13/10/2006: Tar éis chomh maith agus a d'éirigh le léiriú "Frongoch" an bhliain seo caite, tá an North Wales Stage Company ag teacht ar ais chuig Amharclann na Cathrach i nGaillimh le leagan nua de "Branwen" ar an Luan 23 agus an Mháirt 24 Deireadh Fomhair 2006. Comhoibriú is ea an dráma seo idir bheirt scríbhneoir, Darach Ó Scolaí ó Chonamara agus Ifor ap Glynn on mBreatain Bheag, agus úsáidtear trí theanga tríd ar fad, Béarla, Breatnaisagus Gaeilge, le h-aistriúchán comhuaineach tríd síos. 12/10/2006: D'fhéadfadh sé go mbeadh caint ar dheagánaigh a cheapadh in Ard-Deoise Thuama amach anseo ag an Tionól mór a bheidh ar bun i dTuaim an mhí seo chugainn. 12/1/2006:Tá an tAire Gnóthaí Pobail, Tuaithe agus Gaeltachta, Éamon Ó Cuív, T.D., tar éis an chéad scéim teanga de chuid Óglaigh na hÉireann a dheimhniú faoi alt 11 d'Acht na dTeangacha Oifigiúla 2003. Is céim bhreise i seo chun seirbhísí a sholáthar do lucht labhartha na Gaeilge. 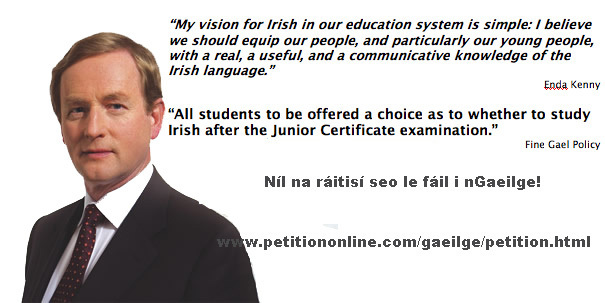 Cuireann sé tús leis an bpróiséis chun na seirbhísí beachta trí Ghaeilge a bheidh ar fáil ó Óglaigh na hÉireann ar feadh tréimhse trí bliana agus leagan sé síos an bunús ar a dtógfar na seirbhísí sin thar roinnt scéimeanna. Is féidir cóip do na rialacháin a íoslódáil ar shíomh an Choimisinéara Teanga. Tá Scaireanna in Aramara Teo á thabhairt ag an Roinn na Gaeltachta do Údarás na Gaeltachta. Tá breis is 27 fostaithe ag Arramara agus 200 fostaithe acu go h-indíreach ag Arramara. Tá an Údarás chun maoiniú a chuir isteach ann chun plean maragaíochta a dhéanamh don todhchaí. 11/10/2006: Is é Cumas Teo. an comhlucht páirtíochta do cheantar Chonamara, Árainn & Dúiche Sheoigheach atá freagrach as cur i bhfeidhm an Chlár Fhorbartha Áitiúil d'Áireamh Shóisialta 2000-2006 agus cláracha eile. 10/10/2006:Tá an foirgnimh ina bhfuil an Leabhrlann agus oifig an Comhairle Chontae ar an gCeathrú Rua le ceannach ag an gComhairle Chontae ó Údarás na Gaeltachta..
10/10/2006: Tá deis ag daoine lasmuigh den phríomhchathair éisteacht le clár Gaeilge de chuid Newstalk 106 tar éis gur thosaigh an stáisiún ag craoladh go náisiúnta, coicís ó shin. Tá an clár Splanc dhá uair a' chloig á chraoladh ag 10.00in, oíche Dé hAoine. 10/10/2006: Tá suíomh idirlín agus eagraíochta Dóchas agus Dílseacht (www.d7d.ie) le láinseáil ag Oireachtas na Gaeilge i nDoire Cholmcille i mí na Samhna. Sa suíomh seo tá measúnú agus múnla cuimsitheach praiticiúil bunaithe ar thaighde agus ar shaothair ghluaiseachtaí athréimiú teanga go náisiúnta agus go hidirnáisiúnta. Tá an suíomh beo cheana féin sa dóigh is go mbeidh fáill ag daoine plé a dhéanamh air ag an seoladh agus beidh sé á athnuachaint agus a fhorbairt i gcónaí, de réir mar a thagann fadhbanna agus féidireachtaí aníos le h-imeacht ama agus oibre. Sáile Seo pictiúr beag den seó álainn a bhí ag Seanscoil Shailearna ar an Aoine agus an Sathairn seo caite. 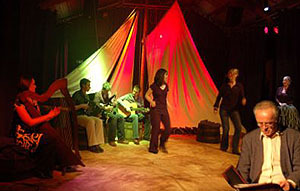 Bhí amhránaithe, filí, ceoltóirí agus damhsóirí as Éirinn agus as Albain, ar stáise draíochtúil, a Chonamara 2006.